Quaderno takes automated billing for PayPal to the next level. Once you process a successful transaction on Paypal, Quaderno will create a beautiful invoice that you can send to your customer. We’ll even send it automatically, if that sounds like your cup of tea! Quaderno invoices always have the correct local tax rate (no matter where your customer lives), and can include the local language or currency, too. 1. 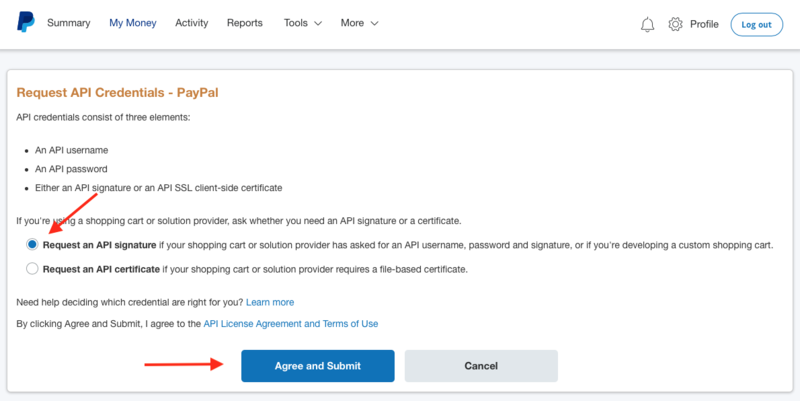 Click here to get your API credentials from PayPal. 2. 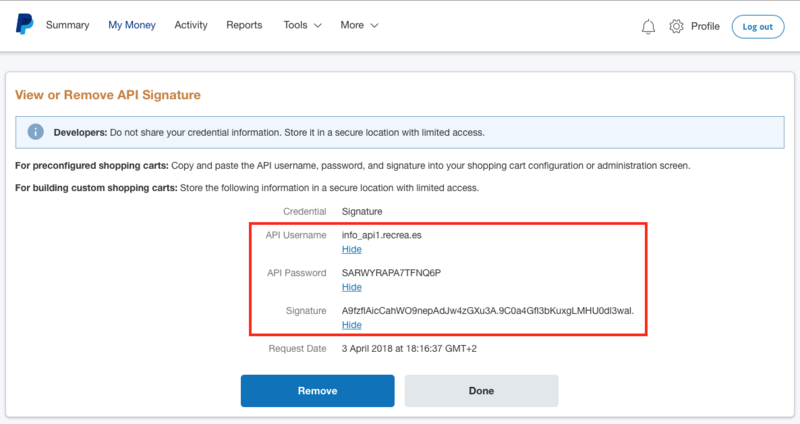 Select the option "Request an API signature if your shopping cart or solution provider has asked for an API username, password and signature" and click the button Agree and Submit. 3. Next you’ll find your three API credentials. Copy these. 4. In another tab, open up your Quaderno account and go to Integrations > PayPal. Now for a little copy-and-paste action. 5. Copy your PayPal's API Username, API Password and Signature, and paste them into the relevant fields on your Quaderno Integration page. Enter your PayPal email address, and then hit the Connect button to finalize everything.